I was going to hold off on talking about these until things were closer to finalized (as in actually buying an inventory of materials and making a few up) but as the weekend wore on and I kept coming back to them over and over, I just had to share them. 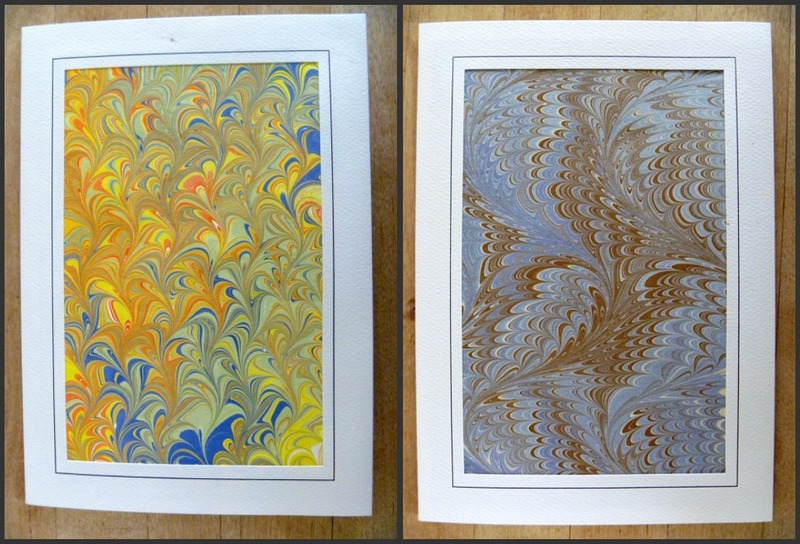 These are cards with my marbled papers. The cards have a final size of 5 x 7. My paper doesn't sit on top of the card. It fits INSIDE the framed window, so it gives it a matted-framed look. And, the thing I like about these cards, is that they ARE perfect for framing. So you're not only giving a card to someone, you're giving them a ready-to-frame piece of art. I'm hoping to have some ready to sell by mid-January. I've been hesitant to turn my papers into cards, or what I consider to be plain ol' cards where the marbled paper is the card and not featured on the card. 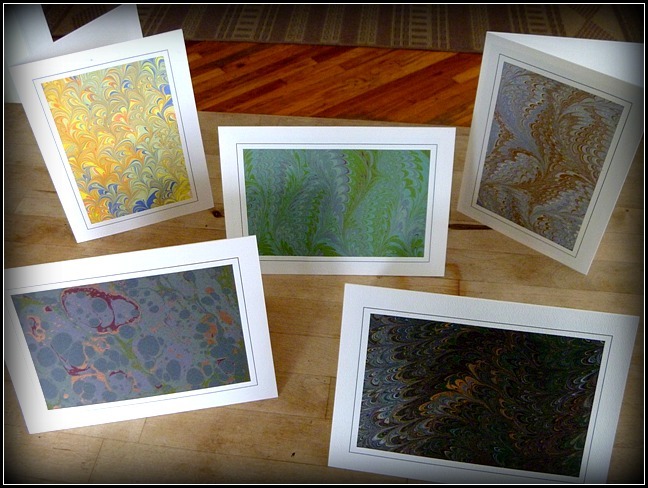 But these new frame cards feel right...it shines a spotlight on the beauty of marbled papers and makes them the center of attention. What more could a marbler ask for?